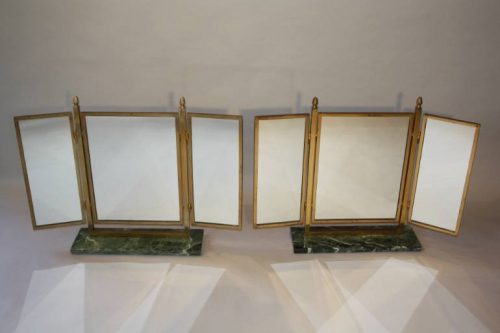 A very elegant pair of Art Deco style gilt brass folding triptych dressing table mirrors on antico verdi marble plinths. French c1970. Marble base width is 48cm.